It wasn’t all that long ago that international travel was the exclusive domain of the privileged. The world of travel was different before Freddie Laker introduced Trans-Atlantic fares on Laker Airways in the mid-’60s, opening European travel to middle-class Americans. Before that, it was the exclusive domain of a group that the rest of us referred to as “jet setters.” Those jet setters, we imagined, were leaping into Trevi Fountain as we saw in La Dolce Vita or striding in white Go Go boots down Carnaby Street in London. 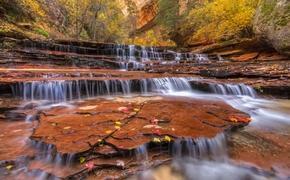 We have rounded up a few experiences that let travelers revive the golden days of jet-setting. Belmond Hotels launched a series of experiences at its hotels in Portofino, Venice, Florence, Ravello and Sicily to welcome the summer season. The “La Dolce Vita” series was designed to capture Italian glamor in the 1950s and ’60s. The excursions are inspired by the Italian holidays of such actresses as Elizabeth Taylor and Brigitte Bardot. Venice’s Belmond Hotel Cipriani offers a tour of famous Venetian film locations, including the 18th-century Venetian coffee house that featured in 1955 romance “Summertime” with Katherine Hepburn and the bridge under which Alberto Sordi’s handsome gondolier tried to seduce pretty tourists in the 1958 Italian comedy Venice, the Moon and You. The hotel’s “Tour of the Senses” explores the city’s hidden cultural gems, including a visit to Francesco Molon’s luxurious perfumery, the chocolaterie Viziovirtù, a violin-maker’s workshop and a visit to the Palazzo Ca’ Bernardo, which is normally closed to the public. In Portofino, the Belmond Hotel Splendido is rumored to be where Richard Burton proposed to Elizabeth Taylor during the filming of “Cleopatra.” The hotel offers a sunset cruise aboard the hotel’s private boat with chilled Prosecco. The boat cruises past Portofino and Camogli Bay where guests can swim before mooring at the secluded beach of San Fruttuoso Abbey. Here, their own waiter will serve an al fresco candlelit dinner for two. Burton and Taylor also enjoyed water-skiing in Portofino and Belmond Hotel Splendido can arrange this for guests. Much of Brigitte Bardot’s Love on a Pillow was shot in Florence. The Belmond Villa San Michele, a hotel with the feel of a private home, is offering guests a vintage Fiat 600 so that they can retrace Bardot’s discovery of Florence in the 1962 classic. Scenic locations where scenes were shot include the gardens of Villa Gamberaia and the abbey of San Miniato al Monte. It’s also offering guests the chance to explore Florence on a retro Ape Calessino, a classic symbol of the laidback Italian lifestyle. After meandering up and down the city hills, guests will be guided through the best food shops and markets before enjoying a traditional Italian aperitivo on the Arno River at sunset. Ravello was a favorite place for Jackie Onassis to shop in the summer of 1962. The Belmond Hotel Caruso, set on a cliff-top balcony with an infinity pool, offers guests access to those shops. The hotel offers a three-hour sailing trip aboard a ‘gozzo’ (a typical coastal wooden boat), harking back to the summer of 1962 when Jackie O famously visited the area. Guests sail to the private beaches of Conca dei Marini and while away an afternoon swimming in the sea, sunbathing and having a Mediterranean picnic. Film fans can also take a drive along the Amalfi Coast in a vintage Fiat 600, stopping at Jackie’s favorite shops. The Belmond Grand Hotel Timeo in Taormina, Sicily sits adjacent to the Greek Theatre with views of the sea and Mount Etna. 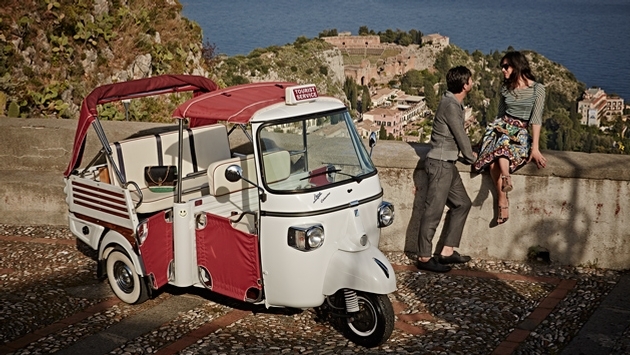 In the ’60s Greta Garbo and Truman Capote vacationed in the area, and guests can take a spin to their favorite haunts in an Ape Calessino three-wheeler. Male guests can also be groomed like a ’50s film star during the hotel’s weekly Sicilian barbershop experience. After a massage, a top local barber will apply cream with a pure pig-bristle brush before performing a traditional straight-razor shave, followed by another massage and hot and cold towels. At sister hotel Belmond Villa Sant’Andrea in the Bay of Mazzarò, guests can take a voyage in a rainbow boat past the famous Grotta Azzurra, Isola Bella nature reserve, the Gulf of Giardini and the Bay of the Sirens before reaching Capo Taormina. If the world of European 1960s cinema is still too modern for you, you can repair to St. Moritz and the Badrutt Palace Hotel where the more traditional paces of Downton Abbey will be in place this summer. High tea, etiquette classes and a Belle Epoque fashion show will all be offered from July 5 with nostalgia events from the Downton era. In the morning, there will be a Royal Etiquette Class at Downton Palace with international socialite and royal etiquette expert, Liz Brewer, for a primer on the rules of style and behavior at court or society gatherings. Participants will also glean titbits about daily life in the Royal household. The morning will be capped by Chef Mauro Taufer who will recreate and serve guests a Palace menu rich in tradition from 1902. The historic dishes will be presented on original serving plates from the late 1800s, now part of the hotel’s historical collection. Brewer host the lunch. An absinthe afternoon tea will be served in Le Grand Hall. Some of the female guests present can dress up in a hand-stitched outfit for the Downton Palace Historical Dinner. The fitting session offers the ladies assistance in putting on a corset as well as tips on how to move while wearing the various accessories. For that meal, Taufer will recreate an authentic Palace menu from 1902, using original serving dishes, with the historic setting to befit the ambiance. Movie stars, diplomats, royalty and high society alike would have enjoyed this sumptuous five-course meal. A second Downton Palace event is planned for December, in celebration of the 150th anniversary of winter tourism in St Moritz. Nothing is more cinematic than the grand entrance, and it’s hard to beat the Monastero Santa Rosa Hotel & Spa’s new helicopter transfer from Naples for that. The hotel is built into the side of a mountain with the floors connected by a glass-front elevator allowing panoramic views. All 20 rooms and suites offer views of the Gulf of Salerno. Just imagine the drama of your entrance as you’re spirited in by chopper over one of the most beautiful vistas in the world. The transfer takes 20 minutes, but a 50-minute version is available for flightseers who crave more. The extended helicopter experience gives an extraordinary aerial view of Naples, Mt. Vesuvius, Capri, Ischia Island, historical Herculaneum and Pompeii and Sorrento all leading up to the Amalfi Coast. The helicopter lands on a helipad just below the hotel. The regular helicopter transfer starts at $2,423 and the extended tour starts at $3,029. 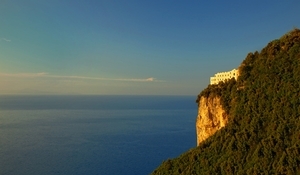 Hotel rates start at $540 per room per night, depending on the season, and include full Monastery Breakfast, Wi-Fi Internet access, air conditioning + ceiling fan, room safe, flat screen TV, daily shuttle service to Amalfi until midnight, use of the infinity heated pool, fitness facilities and Thermal Spa. The Mandarin Oriental Hyde Park is bringing the countryside to town with the launch of a new Horse Riding Experience for guests, in collaboration with the Hyde Park Stables. Hyde Park has more than five miles of bridleways. The hotel’s riding program is geared for families and can accommodate riders from the ages of five years to adults. The Hyde Park Stables has a wide selection of horses and ponies carefully selected for their easy going temperament. Hour-long rides are accompanied by a professional tutor, and take guests beside the Serpentine Lake and past the hotel’s Hyde Park façade. Mandarin Oriental Hyde Park, London’s new horse riding package is priced from £1,045 Plus 20 percent VAT tax and includes accommodation for a family of four in two interconnecting rooms; English breakfast in the dining room overlooking Hyde Park or in-room for the family; Special children’s amenities in the room; One hour semi-private riding lesson with Hyde Park Stables for two children; Riding hats and boots provided free of charge; Complimentary access to the hotel’s indoor swimming pool and fitness center; and more.